SEO, a form of internet marketing, is a method of using content to rank your business on the search engines. It was more popular in the last 5-7 years, but recently many agencies are finding it hard to have success. This is due to the ever changing and secretly kept search engine algorithms and updates. The Google Panda update was responsible for many websites and businesses going under. The Panda update resulted in many websites losing their rankings which lead to a decrease in overall search traffic or organic traffic. The question remains, does search engine optimization still work or is it dead? When you do a quick search on Google on a keyword SEO, you will see a list of reputable companies the offer this service. This shows you that as long as there are people out there offering this service, it still has potential. If you did the same search 5 years ago, you would get all sorts of results. This has changed because Google is getting ‘Smarter’. Google algorithms are beginning to blacklist websites that has no credibility and whose main objective is to rank so as to get traffic other than to offer value. Gone are the days when one would write keyword rich content and rank for those keywords. According to recent research, it was proven that Google is relying more on the value that the user gets from a website. This can be measured by the bounce rate, social signals, commenting and also sharing by the users. If your website has a huge bounce rate, then your ranking is definitely going to suffer. How engaging are your readers? Do they share your content more often? Do they subscribe to your newsletter? How much of those readers stay at your website for a particular time? All these are some of the questions that Google tend to look at. Link building is still a major backbone of your ranking. They can make your business or break it. Having spammy back links done by a Fiverr user can result in a penalty thus harming your business. The best way is to do the back linking the legitimate way. This can be achieved via guest posting to other niche related websites, creating and distributing your content to Article Directories with credibility. Both government and Edu websites tend to have credibility hence they should also be in your plan. If you have to hire someone to do back linking for you, then it’s advisable to hire the ones who will do it manually. This process might be time consuming but it has a long term benefit. Use YouTube more often. It’s with no doubt that YouTube is the second biggest search engine behind Google, and it is widely underused! This is because people have not yet understood the power and the potential behind YouTube. Having a YouTube channel where you publish more often and have a link that points to your website might be vital. Managing your video marketing can build your business as videos have a higher conversion rate compared to plain text. In order to get some further details and even a quote for SEO for your local business, contact Top Spot SEO in Melbourne. They have been leaders in internet marketing, website design and search engine optimisation for over 10 years, and have the experience and know how to give you the right advice. SEO is not dead as many people claim. What is dead are the old techniques that people used before. Trying to implement those techniques right now will not have any positive effects on your business. As Google and other search engines change and update their algorithms, so should you. This will help you stay safe and ahead of your competition. In content marketing it’s either you adopt or you perish. Airport parking at Tullamarine Airport in Melbourne can be a huge hassle when going on a trip. Things can go really bad if you don’t plan ahead and booking in advance is a must. Travelers have a number of options open to them and there are several airport parking companies ready to take the car to a secured place. The short term lots are generally the most expensive type of parking available at the airport and are usually just used for those who are taking very short trips or are simply dropping people off or picking them up at the airport or have business at the airport. If you are traveling for more than a day, you should probably choose another airport parking option. The long term lots are for those who are taking more extended trips. They are still fairly close to the terminal, but you may have to take a free shuttle to the terminal. The shuttles run through each lot frequently, so your wait will probably not be longer than a few minutes. The cost for these airport parking lots is usually a few dollars a day. Some airports also have economy lots in addition to their long term parking lots. They are usually even farther from the terminal and do not have covered parking. But, there are still shuttles that take you to the terminal from economy airport parking and it is even less expensive than long-term. For frequent travelers or for those who are taking extended vacations this may be the best choice. Off-site parking is generally less expensive or comparable to long-term parking at the airport. You can often find coupons and other discounts via online search. You simply leave your car at the parking lot which is a short distance from the airport. They have a shuttle that takes you right to your terminal. When you return, they take you to your car. Another option that is to rent a car for a day and drive it to the airport and turn it in at the rental car counter. This allows you to have a car without having to worry about airport parking or shuttles. There are often deals on daily rentals-especially on weekends. One of the most expensive options or alternatives to parking for most people would be to take a shuttle service or a taxi. However, the taxi turns out to be the most expensive. You simply make a call and you are picked up right away at your home and taken to the airport. You don’t have to worry about driving or airport parking. The least expensive option or alternative available is to have a friend or family member drive you to the airport. This costs nothing unless you offer to pay for gas or compensate the driver in any way. The other advantage is that you can opt to leave exactly when you have a need to. You can also return the favor at a later date. These are some of the more common solutions to the parking problem at the airport. You may want to use one of these or you may have a better idea of your own. But at least these ideas can get you started. 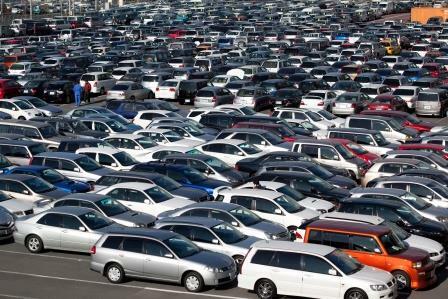 For more on tullamarine long term parking see the United Parking Website. People are frequently moving here and there, sometimes they might even move into a smaller sized accommodation and in such cases they usually do not have enough storage space as they did before. There are times when people do not want to stash some business materials at home or they have a possession that is simply too big to be stored in their new residence. Under all such circumstances, using self storage, or mini storage, serves as an ideal alternative for people who need more space to store something. Cold storage and heated storage are two possible options offered by fragilestorage.com.au facilities if people are in search of one to store personal or business related possessions. Based on what they are planning to store, people can consider selecting one of these two options. Heated storage is the right option, when items such as furniture, leather, pharmaceuticals, etc. need to be stored that are items that can be affected by temperature variations. However at the same time, in comparison to cold storage, people might also have to pay twice the price of renting the storage space as well. Why Visit The Storage Facility? It is advisable that people considering renting such a storage facility in Melbourne should physically go and visit the premises even though they might have the option of renting online from certain storage companies. Not only will people be able to examine the facility they might be renting but renting more space than is needed can also be avoided this way. People usually have to sign a rental agreement when renting such storage space and they should carefully read the entire contract before signing it. People should in fact search for companies that do not bind their customers to long term contracts and provide exceptional customer service. A good storage facility should have a friendly and secure environment. Before actually renting any facility people should thoroughly ensure the safety of the items they will be storing there. This means that there should be security cameras and other safety measures in place, at the chosen facility. To make it convenient for people to transport the items that might to store in such a storage facility, the company might even offer them the possibility of renting trucks and buying packaging materials from them as well. Before people actually proceed with moving the stuff they want to store in a facility they will firstly have to make several preparations. An inventory of their possessions that they will be storing in the facility is the first thing that will have to be prepared by them. As a means of avoiding renting too much space, people can remove the legs if they are storing furniture. To prevent any boxes from collapsing or tipping over while stores in the facility, people should avoid over filling them. Securing the storage space where they will be stashing their possessions is even in the hands of the possessors themselves; hence, they should make use of the best quality locks. It can be quite frustrating when people have too many possessions and too less space to store them, hence in this case they can consider renting some self storage space. Windows are very important in the home because they provide the homes with light, ventilation and warmth. As a home owner, you can choose to have your window replacement due to various reasons that include having a concern for leaking, the realization that the older models may be wasting energy as well as increasing heating bills. You may also wish to make your home modern by improving the way people see the exterior and the rooms. Once you as a homeowner in the great city of Melbourne decide on a window replacement – all you will need to know is how to choose the new windows. When deciding the replacement of your window you need to think about the features that you feel are important depending on whether you want to bring into your home fresh air or you want to save energy. It is also important to consider if you want a good insulation or you want the new windows to be easily opened, closed and cleaned. 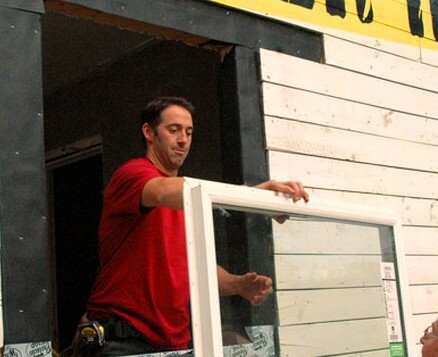 Another factor that you can consider during replacement is how long the type of windows you choose will last. Once the assessment of the windows is done, you should now think of the possible frame to be used. Vinyl frames are usually cheap and do not need maintenance. Wood can also be used although it should be maintained. The third type of frame is the fiberglass which is more expensive but is durable and requires no maintenance. During the procedure, you can choose to install your new windows by yourself but the best option would be to contract a specialized company that can do it. This enables you to be sure that you will have no problems once the windows are installed. 1.The double hung window which is a common type amongst all types. This type of window has two sashes and only half the window can be opened at a time. 3. Casement window is a type of window which pivots vertically and therefore the window can swing in or out. 4.Awning window is a window which is similar to a casement window only that it pivots horizontally. 5.Sliding window is a window whose principle is the same as the sliding doors and can move with the top and bottom tracks. Many companies are specialized in offering the replacement services and always ready anytime to send a team to your house. > A lot of money on the energy bill can be saved especially if your home is an old one because the older homes are typically built with thin glass windows which do not help in keeping the warm air in your home during winter and also to keep cold air in during summer. Therefore these older houses usually make you spend a lot on heating as well as cooling bills. However when you replace your windows to the double paned windows that have an insulation gas between the panes, your house will be able to maintain a certain level of cool or hot. > Replacing the windows can make your home safer because windows that have cracks or have places where they are damaged may allow insects or rodents to find their way into your house. The new windows will ensure that the spaces are controlled and the thicker glass is protective against weather and criminals. > The replacement of windows is usually very fast and convenient because a broken window will allow unwanted cold or hot air into your house. Having the sharp edges of the broken glass sticking out from the edge of the window is also hazardous. > The repair is usually as good as new because glass can be recycled and this recycling will not impact the integrity of the glass itself. This is because this glass is melted down and then reused many times without any strength or quality degradation. > Replacing the windows can cause the value of your house to increase especially if you replace with some new and modern ones. If case you are completing an addition, doing renovations, changing the color of your house or remodelling, commercial painters can help you successfully complete the project and this will save you both money and time. Jobs like color tint application can be complicated and may be difficult for a person who is not experienced to do it in the proper way. Some of the effects of having inexperienced people is discoloration which can occur if the coats are not applied evenly and this will lead to mismatched spots. Having people who are not professionals to work for you will lead to different types of liabilities and also possible theft. The painting contractors instead produce better as well as standardized results because of the type of equipment that they use. The house painting contractors always know that they are there to complete a service and then be out of your home immediately so that they do not have anything that can affect their future ability to find work. The painters will also not want your job to take longer than necessary because they have other jobs lined up, and this is in your best interest for a project to be completed in a timely manner. The painters help you avoid overspending on materials and paint since they have been doing this for many years and therefore know everything that is needed to complete a painting job. They are also able to go to your home and then perform an assessment as well as provide you with an estimate that is based on the services required. They also save you money by minimizing the maintenance cost because they will not begin their work before they examine the condition of the walls. They also determine the number of primer as well as paint coats and paint type that will be required. This saves you money because you will not have to buy unnecessary paints. Decisions which can overwhelm you, can easily be made by the painting contractors for example decisions like color choices are best left to them because they have a vast experience when it comes to choosing and picking the right colors that will make your home look great. They can also provide you with the best assessment in terms of the colors and tools that will help. Most painters know that home owners do not want a painter who creates disturbance in his or her daily routine. Therefore, as they do their painting they always ensure that they do not cause any disruptions or impediments. Once you assign the painting job to a contractor, you will rest assured that the work will be done to your satisfaction and your duty will only be to inspect the work after it is done. Every painter who is working under a house painting contractor is usually insured and this keeps you at peace in case of damages that are caused by the painter. 1. Make sure they have all the necessary licenses that are required. This is because a major deciding factor to hire a painter should be based on how the painter is affiliated and accredited by a professional contractor association. 2. Get recommendations from some of their past clients and ask detailed questions. Family and friends can help because they will tell you the truth as well as answer your questions quickly. Other good sources of referrals include real estate agents, trades-people in a different industry and property management businesses. Always remember that when asking for referrals, you need to check the style of work that the painter was called to accomplish and then compare that to the type of painting work that you need done. 3. Find out how long they have been in business because the length of time is a factor in determining the type of work they can do. Those who have been in business for long tend to have more experience and better work. 4. It is important to get two other written quotes for the same job from different painting businesses so that you estimate the amount you will be required to spend. Once you decide the painting contractor you need, there should be a written contract for you and the painter to sign. The contract must include the terms and clauses which should be properly understood before signing. In case the painter requires a down payment before they take on the job, you need to make sure that you verify all references before paying. The task of tree removal in the leafy city of Melbourne requires prior experience for it to be done effectively- both residential and commercial. This explains why you need to hire a professional to attain both efficiency and effectiveness. There are so many tree removal companies in Melbourne and choosing the right one can prove a challenge. Add this to the fact that there are so many scammers- especially on the Internet- and you will realize just how important it is to select a reputable professional tree removal in Melbourne. So, how do you go about it? Here are helpful tips you may want to consider putting into consideration. First and foremost, make sure that your prospective tree removal company in Melbourne has appropriate liability as well as workers compensation insurance. You can tell this by asking the firm to send you or show you all the certificates of insurance. A company that is reluctant to provide you with these documents might be a fraud; check the next company in your list. Why is this important? Sometimes, accidents are inevitable. If your prospective company doesn’t have the necessary insurance, all the liability will fall on you- and this includes repairs for materials and property damaged as well as injuries resulting from an accident. Secondly, find some time to perform a background check on the company. Later on, you will be glad that you did, especially if you don’t leave any stone unturned. The reputation of the firm is paramount when choosing a tree removal service company. For instance, try finding out if a company has any positive reviews from the various people and companies they have for worked for. A more practical approach is requesting for references as this will give you more assurance. This is particularly important if you are handling a high-cost project. Thirdly, how much is the company charging for tree removal in Melbourne? Be careful not to pay excessive amounts of money. On the other hand, avoid companies that charge unreasonably low as they could be fraud. Irrespective of the fact that you are looking for the best bargains in the market, by all means stay clear of tree removal companies that quote very low prices. This may happen if a firm lacks the necessary accreditation, certification, insurance or even experience. Compare the different rates offered by various companies to have an idea of what is acceptable. Lastly, pay attention to the level of customer service you receive- including the very first time you make contact with the company. Go for a company that treats you with respect, friendliness, and its staff is courteous. How resourceful are the people at the enterprise? Every customer wants different things from the firm as far as customer service is concerned. Find out if your prospective is capable of serving your needs satisfactorily before committing your finances. Moving across different states is usually a costly affair especially if you are transiting through a number of regions. The cost as well as the risk of loss or damage also rises as the volumes increase. To minimize such expenses it is always advisable to scale down before packing the items. This may involve selling some items, discarding old or worn out items, and also donating to charity. This ensures you only move with the necessary items and also bring down the cost of relocating. There are always situations when you do not have enough space in the house, business premise, or office to store all the material you have and you wish to move the materials that are not required to a safe place for use later. Removal and storage by a reputable and experienced company like www.expertremovalists.net.au is the perfect solution for all your self storage requirements. Here we have the latest surveillance technology coupled with cameras that makes it easy for us to survey your property throughout the day and night. We carry out all the packing supplies you may require , the company has wrapping paper, tape, cushion foam and enviro-bubble just to name a few. Be sure to get everything discussed in writing, right down to the last details, and exspecially make not of your most valuable items and take photos of them in case of damage while moving. The storage location is accessible by cars or commercial trucks, safety and security of your personal belongings is the ultimate priority of the company. It has moving trucks for rent; the trucks are of different sizes and can cater for any need that may arise. 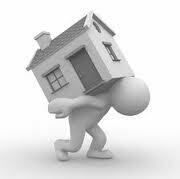 Whatever your needs are during movement the firm will provide all the facilities to necessitate the move. There is a mini storage unit to fit any personal or commercials needs of the clients, the storage is clean and ready for the needs of the customers. At our removalist Melbourne location, the storage facilities are at ground level, which makes accessibility easier, and all the units are accessible 24 hours a day. The electronic gate, lighted units, and live-in manager on site are some of the qualities of the storage facility. High quality customer service is the priority of the company and the professional staff is able to guide you through all your requirements and how you want your property to be placed in the storage unit. We have convenient locations throughout the year, for first time customers there is a special package for them, the firm has been in operation for several years now and has experience in cargo handling and storage logistics. The facility has multiple units, which means the client cannot pay for extra space that they do not require, all units can fit personal or business property. You can store anything from boats, cars, electronics, furniture among other things that you may need to store. The security is impeccable because the client can choose the kind of locks he or she wants to be put on the door at affordable costs. The facility is then accessible to the client anytime they want to pick their stuff or want to check their condition. Most people prefer to use disc locks because of maximum security and heavy materials they are made of. Why not choose Melbourne storage for your storage needs? Furniture Removalists in Australia – Can You Trust Them? Many people in Australia are afraid to avail the services of furniture removalists Perth because of the false news and negative statements that were provided in some of its available reviews in the internet. But to believe in the messages of such online contents is a big mistake. It is wrong to believe in the statement that says all of the furniture movers in Perth are not competitive and unreliable. It is because only those unlicensed removalists in the area of the place that was stated are not really capable of satisfying the needs of those individuals who are searching high quality and efficient furniture movers to hire nowadays. The services of the furniture removalist in Australia are very reliable when it comes to the process of satisfying the needs of those individuals who do not want to waste their money on low class moving services. •	What to Expect from the Services of Furniture Relocation Experts in Australia? These companies will always provide their needs for their scheduled move in Perth in a very professional way. No other moving companies in the other parts of the globe can surpass the quality of the furniture removal services that these companies can offer. Besides, the services of these companies are very affordable and full of amazing surprises for the consumers. With the help of the services of licensed furniture removals Perth, it will be very easy for the new residents of Perth to organize their desired moving process in an expert fashion. Get a quote here. The staff of such companies are trained to provide their clients with thorough and efficient furniture removal services that are one hundred percent free from obstructions at all times. Make sure you speak to the people who are moving your stuff early in the morning to develop rapport. Such services are always supported with high quality packaging tools and transportation vehicles that can really make the transportation of a set of home furniture or office furniture to a new facility in Perth faster and more convenient for the consumers. The presence of removalists in Melbourne Australia nowadays will surely provide real happiness to those individuals who are interested to move their office or home in the area of Melbourne in a very stress-free way. The interstate removals Melbourne services that these companies can offer are very fast and affordable. Therefore, such services will be the best solutions to the problems of those individuals who do not want to spend several amounts of money in the process of satisfying their desired furniture removal process in the area of Australia at the present time. Click here for more information. In order to have the most efficient moving day, it also up to you as the home owner to make things as easy as possible for the removalists when they arrive. Ensure all boxes are packed and ready to move, and also that they are clearly marked so the removalist knows where to deposit it at your new home. The furniture removal services of the licensed furniture removalists in Australia nowadays will never fail the expectations of those individuals who want to transfer their personal belongings and properties in Perth in a very safe and well-organized way. Such companies have experienced movers who posses great expertise in the process of performing an excellent furniture removal service in the different parts of Australia nowadays particularly in the area of Perth as one of the most successful cities in its vicinity. No other moving companies can surpass the quality of the furniture removal services that these companies can offer to new residents of Perth and its neighboring cities. •	How Movers in Australia Work? 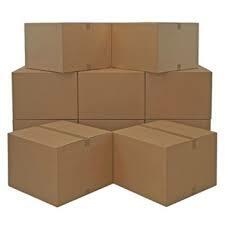 The furniture removal services that these companies can offer start in the process of packing. In the packing process, several kinds of packing and removal boxes will be used to cover and protect the personal belongings and furniture of the clients who will avail the services of the furniture removalists in Australia. Such boxes are made of high quality materials that are very flexible and durable enough to protect hard objects and furniture from several kinds of damages like scratches and cracks while in a long distance move. Long distance shouldn’t mean more stress. If you use the right company it should not be any different than a move nearby. The only thing different is the cost of course. If the packing process is already done, the furniture and personal belongings of the clients will be loaded immediately to a truck or van to proceed in the transportation process. In the transportation process, the factors that may affect the rate of the total expenses of the clients include the fuel consumption of the vehicles in the distance of their old facilities to their new facilities in the area of Perth. Of course, long-distance moves have higher prices in the furniture removal services of these companies. The money of the consumers who will trust the quality of the services of these companies will never be wasted.